Imagine your own personal 'Cottage'... sitting on the deck, enjoying the majesty of Lake Okanagan, while enjoying a chilled glass of wine from a local winery. The luxurious accomodation meets all the needs of your family & friends. Comfortable beds, fully equipped gourmet kitchen, dining room and living room with custom built fireplace & media center. The 'Master Retreat' with ensuite is privately located on a separate level. A second full bathroom and additional bedrooms are located on the main living area. Combine all of this with unlimited access to all the incredible amenities of La Casa Lakeside Resort and diverse local attractions to experience a vacation that is sure to become a family tradition. Fully stocked, roasting pans, baking dishes, small appliances etc. We thoroughly enjoyed our stay here. The views were beautiful and all of the amenities were great. We certainly didn't lack for anything as it was a very well appointed home. We would definitely stay here again. the hemlock cottage is everything you can ask for and more, we rented it with my family and friends and we really love it! the fact that it has the pool/ping pong table and dart board in the garage is amazing! everything is there and the deck is big enough to accomodate all 10 of us! would love to come back next summer! We had the most amazing holiday at this property. The property was just so lovely. Clean, inviting, and stocked with everything we could possibly need. The owner was very helpful, and answered any questions or requests promptly. I would not hesitate to rent this property again. Beautiful cabin in a gorgeous and convenient location. The cabin was perfect for our stay with extended family. The cabin itself was clean and neat and had everything in it that we wanted. We loved going to the beach in the day and the pool/hot tub in the evenings. Loved it so much we plan to do it again. Our family enjoyed our stay at Hemlock Cottage over the July long weekend. The place is very well set up for kids. And the big deck is a lovely place to sit and enjoy the lake view. Sheri was an excellent host and very quick to follow up on a problem with the fridge we encountered during the stay. She went above and beyond to resolve the issue - thanks Sheri! We wouldn't hesitate to book here again in future. Big deck, nice view, nicely situated, clean. Come and enjoy over 20 wineries, local cheese factories, and executive golf courses. Okanagan Lake is over 100 kilometres long boasting pristine parks and beaches, making it ideal for an abundance of water activities. Parasail, rent a sports boat, water-ski, wakeboard or wake surf, kayak, fish, take a cruise or just swim in the lake... whatever you choose, the hot Okanagan sun will be your constant companion. For Golfers, the Okanagan Valley has numerous championship golf courses and par 3 executive style courses to suit every skill level and budget. Quail and the Bear, Harvest, and Predator Ridge are some of the Okanagan's championship courses within an hour's drive from the cottage. For more information on Okanagan golf courses, please visit. The Okanagan Valley receives international recognition showcasing some of the finest wine in the world. 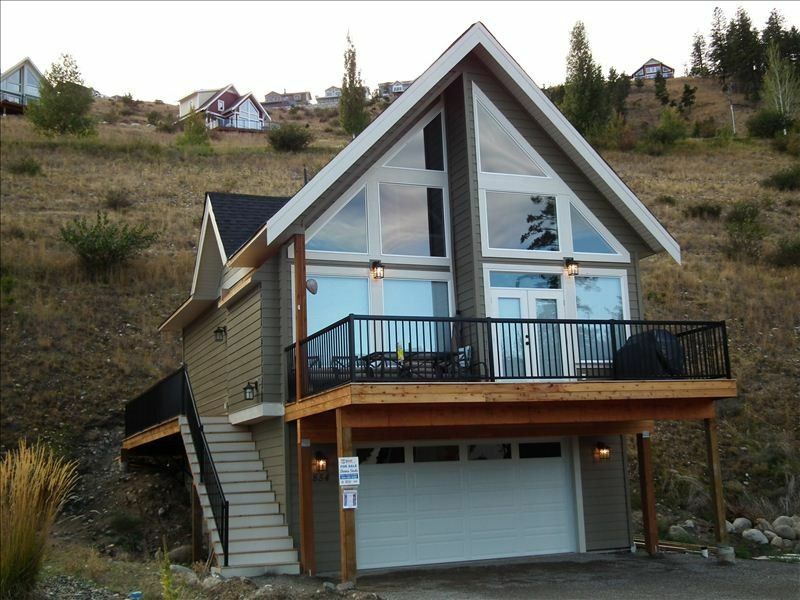 Our lakeside cottage is your ideal base camp with almost a hundred wineries nearby in the Okanagan region. Learn about the art of wine making on a tour, sample a variety of wines in the tasting rooms and treat yourself to lunch on a terrace...and of course, bring back your favourite selections. The Okanagan is renowned for its deep, dry champagne powder snow with a choice of mountains nearby to challenge and delight every level of skier or boarder. There are four ski resorts within a short drive of La Casa Resort including Big White, Crystal Mountain, Silver Star and Apex. On days when you've had enough fun in the sun, explore the acres of forest behind the Resort's adjoining crown land. Walk, ride your mountain bike or visit Fintry High Farms and take a tour by horseback or on your ATV. Follow the vast trail system connecting Fintry Provincial Park to Bear Creek Provincial Park. With two fabulous restaurants on the resort and the convenience of your own cottage kitchen, you may never want to leave. Should you choose an evening on the town, you have an abundance of local restaurants, pubs, lounges and nightclubs from which to choose. For more serious shopping, there are two large malls in Kelowna and Vernon as well as hundreds of specialty stores and boutiques. Damage Deposit: Refundable $500.00 Cancellation Policy: There are NO REFUNDS for CANCELLATION OR EARLY DEPARTURES EXCEPT AS PROVIDED HEREIN. If a guest requests a cancellation 60 days or more before check-in, Owner will make a "best effort" to re-rent the property. If the Owner is able to successfully re-rent the reserved period, the Owner will refund the total deposit payment less a $100 servicing fee.